I know I've said it before, but now everyone is saying it. 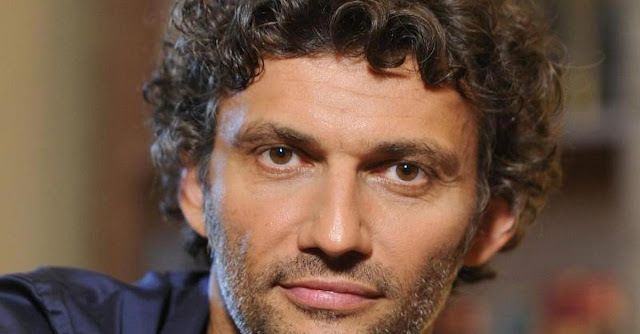 The return of Jonas Kaufmann to live performances is supposed to be Lohengrin in Paris. Here's the whole story in English. Alex Ross is saying in the New Yorker that I called it on the pianist Trifonov. If this sentence makes no sense, remember I like to do a lot of irrelevant bragging. Though some were calling it "camp", I think I just thought the Christmas concert this year from Vienna was simply bad. It's on youtube if you want to watch it. The Knabenchor was good. The only other thing of interest was how great Noah Stewart sounded. I want to give him a plug. We must now refer to Bryn Terfel as Sir Bryn. The Queen has knighted him. Barihunk duo in Oper Köln's "Street Scene"